Our Ukraine singles tours include visiting all the best places in Ukraine while meeting beautiful women. What are you waiting for? Register now for FREE! Known as the home of the world’s biggest plane ever invented, Ukraine is the second largest country in the European continent. The country’s vast land stretches from Russia, all the way to Poland in the west, and is bordered by the Black Sea in the south, with Belarus in the north. With a population of approximately 42 million, tourists can expect to meet a lot of interesting personalities during their visit. Ukraine consists of peaceful yet busy-bodied cities. Its busiest city is Kiev, which is also the capital and the largest city within the country. Your travel to Ukraine would simply be incomplete until you’ve at least set foot in the 7th most populous city within Europe. 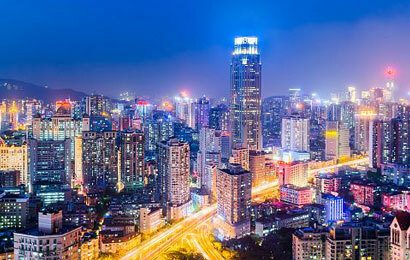 Apart from the country’s modern cities however, there is a lot more to it than meets the eye. As a matter of fact, the country is also home to seven of the 1,092 World Heritage Sites, which includes the breathtaking beech forests in the Carpathian mountains and the Saint Sophia Cathedral in its capital city, which was built in the 11th century. You will be surprised with the magnificence of the country. It will give you a mix of Medieval and modern ambience with its historically-filled destinations and wonderful architectural designs that are greatly influenced by France and Italy. Not only will it make your jaws drop with its picturesque sceneries and with the grandeur of its beaches and other tourist destinations; it will also warm your heart with the genuinity of the citizens. Despite the numerous amazing places to see within the country, tourists will be relieved to know that its crime rates are nearly nonexistent and its climate is generally favorable all year round. This makes it one of the most ideal locations to spend your vacation at, and is also popular for its Ukraine singles tours. The country would be a great addition to your bucket list. Tour clients are offered with an excellent stay at one of the most scenic locations in the world. 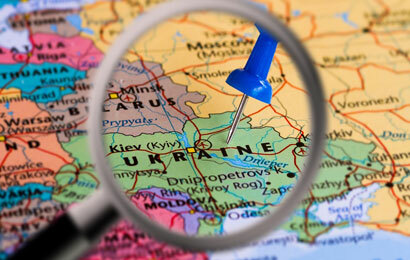 Ukraine can be found in the southeastern part of Europe, sandwiched between other countries and bodies of water. This includes Russia at its east side, Poland, Hungary and Slovakia at its west, and having the Black Sea and Sea of Azov at its south. As such, the country is also called by some as the heart of Europe due to its geographical location. The locals are appropriately referred to as Ukrainians, and with a population consisting of 42 million people, be prepared to meet and interact with beautiful and interesting Ukraine women during your stay. In fact, women in this country are highly-stunning, thus, if you plan to date Ukrainian women, sufficient knowledge on Ukraine dating culture must be garnered. If you are planning to travel to the said country, lift up your worries because Ukraine is very accessible to both local and foreign visitors. You will be happy to know that there are several ways for one to set foot in the country--- plenty of which offer scenic and breathtaking views while you’re on the way to your destination. The Boryspil International Airport is in the capital city of the country. It contains three terminals and is capable of international flights from all over the world. From there, you can immediately get to the city central through a skybus or a cab. The good thing here is the fact that the cabs are just waiting outside for your convenience. However, if you want an easier way to go around the country, it is advisable for you to book your trip through an agency. Another way to get to the country is through Odessa International Airport. With its newly-built terminal, the airport now has the capacity to host a greater number of passengers. All these passengers can easily get to the center of the city just like the previous option. On the other hand, if this is a hassle for you, you can have your trip booked through a company instead. Yet, keep in mind that the rates may vary depending on the season. The great thing about taking a train is that it’s cheap and comfortable, with train connections all over the largest cities such as Kiev, Lviv, and Odessa. Before choosing to travel through train however, keep in mind that there are different types of trains. Furthermore, if you’re not fluent in speaking Russian or Ukrainian, you might face some difficulty when trying to purchase the said tickets. To avoid any problems due to miscommunication, it’s best to purchase your tickets ahead of time through their official website. Beautiful beyond words, the Askania-Nova Biosphere Reserve is the world’s oldest steppe reserve protected by UNESCO. It is one of the most-fiercely protected natural wonders of the world. It serves as a home to 500 plant species, which are mostly extinct, and 450 species of exotic birds and animals, six of which are now extinct in their own homelands and can only be found in the Askania-Noa. This is a haven for all nature-loving individuals. This must-visit tourist destination is all about recreational fun. Composed of 515.7 km2 of absolute gorgeousness, the Carpathian National Nature Park features many diverse landscapes that are such a treat to the eyes, heart and mind. You can go both sightseeing on its natural beauty such as the Hulk Water or do various activities such as hiking and trekking. You could also just enjoy the day, relax and have a picnic with your loved one. Perhaps this destination is one of the most unique and peculiar destinations on your travel to Ukraine. Here, you will get to walk down the memory lane of Ukraine through the featured sizable collection of busts of various communist leaders and socialism heads from the USSR’s colorful history. The museum features 50 different busts being referred to as the Alley of Leaders. There are even more busts added regularly. Pyrohiv is an interesting and unique open-air museum in the capital city of Ukraine, comprising of 300 traditional structures that feature Ukrainian architecture. Some of the buildings on display include structures from the Middle ages all the way up to the 20th century. In fact, a house from 1587 is the oldest display in the folk museum. All these mentioned above are just some of the sceneries the country of Ukraine holds. There is more to it than what meets the eye. It is best if you get to experience it for yourself and enjoy the country and its aesthetics. Who knows that your travel here may open your doors to a romantic possibility and might get one of our alluring Ukraine brides. They may be one of the reasons why you should travel to Ukraine. Register now for free!